Western Cape Education Department aims to connect schools to high-speed broadband. 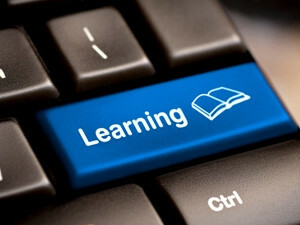 The Western Cape Education Department (WCED) says its e-learning game changer initiative in the province is making headway. This week, the WCED revealed the provincial government is currently connecting schools across the province to high-speed broadband via a wide area network (WAN) as part of the e-learning initiative. In addition, local area networks and WiFi connectivity are being provided for almost every site and alternative connectivity is provided to schools that cannot connect to the fibre-optic grid. The provincial education department says it is also progressively providing technology in schools by equipping smart classrooms and refreshing computer laboratories, providing devices, teacher training and support. Commenting on the progress of the e-learning game changer, premier Helen Zille says: "We chose e-Learning as a game changer because of the potential to reduce the gap between poor and well-resourced schools, by improving access to the best education resources and support. "The digital revolution is already affecting every aspect of life, including education. Digital technology has the potential to greatly enhance every aspect of schooling, from teaching and learning, to assessment, school management and parent support." Introduced in 2015, the e-learning game changer aims to equip learners with the skills to participate in the increasingly technology-based economy in the future. E-learning has been identified as a tool that will assist increasing access to quality education in disadvantaged communities, providing support for struggling learners, contributing toward teachers' training and professional development, and improving management and administration at schools. As part of its e-learning game changer, the WCED is also working to ensure that every school in the province begins to feel the benefits and transformative nature of this exciting project. "Over the game changer period, we will aim to ensure that every school is able to leverage off the WAN, which will be installed by the end of this year. Teachers and learners alike will have access to a new world of learning and sharing through the Internet. Smart or digitally enabled classrooms will be connected to the Internet. This will ensure that teachers benefit from the increasing volume of quality digital content available on our ePortal," says Western Cape education MEC Debbie Schafer.